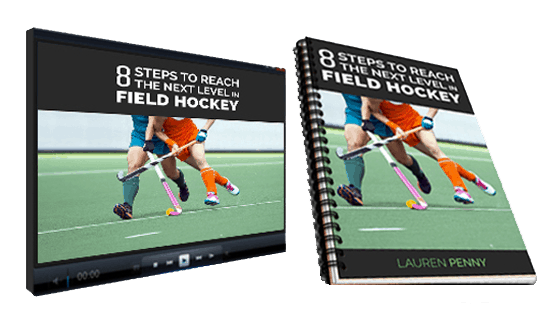 I’m often asked which field hockey skills players should focus on but it often depends on a number of factors such as your current level, your position, your strengths, weaknesses, etc. However, I decided to come up with a list of the top 10 field hockey skills that I think are most useful for the majority of modern day field hockey players to focus on. The order in which you develop these skills will depend on various factors, but I encourage you to choose just 1-2 at a time so that you start to notice an improvement. Your first touch or “trapping” is the ability to receive the ball under control and head in the direction of where the space is. A good first touch will give you more time to look up to see what to do next. It will help to pre-scan before you get the ball to identify where the space is for your next move. For example you could use hard hands to receive into space in front of you or it could be using soft hands to allow the ball across your body. You could also move the ball to the left or right of your player with your first touch to create space and receive balls into space (front side and upright reverse). It is also worth improving your ability to trap bouncing balls off both your right and left foot and balls into space (upright reverse). I highly recommend you work on your ability to receive the ball from many different positions (static, moving, feet facing forward, back to goal, from left side, from right side, etc). This is a skill which a lot of players struggle to master because there are so many factors to consider such as foot position, ball position, head position, body position, hip rotation, the swing, grip, wrist action, follow through, etc. For strikers (forwards) it could be to shoot at goal. Players need to be able get into good positions if they want to receive the ball. Leading well allows you to have more time on the ball and to make better decisions. There are various types of leads you can make and can vary depending upon your position. Timing is a crucial factor to consider as a great lead is not great unless your timing is spot on. Great leading comes from understanding the player on the ball as well as your ability to anticipate what is going to happen next. It’s also important to mention re-leading because if the ball doesn’t come to you, you need to re-lead to create space for someone else. This also makes it harder for defenders. Good plays come from accurate passing so it is a crucial aspect to cover. This point could be a number of different skills which also depends on the position you play. A defender may want to focus on their fake slapping or overheads. A midfielder may want to work on passing off the right foot or lifted passes into space. 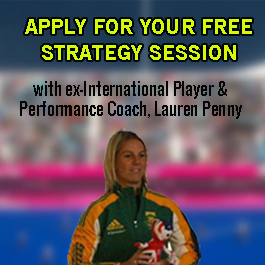 A striker may want to work on 2 v 1’s or one-touch passing. All players should be able to make a clean flat stick tackle, including forwards and even goalkeepers. Bad tackles are normally made when you get caught in a bad position or are mis-timed. Poor body position, being caught flat footed, committing too early are all examples of things that can lead to making bad tackles which results in free hits in dangerous positions or being carded and temporarily suspended from the game. You may want to channel a player into a less dangerous area before making a tackle. You can do this by keeping your stick down and forcing them out wide by positioining yourself on the inside closing off the direct route to goal. The key in defence is patience and waiting for the right time to make your tackle. The jab or poke tackle is one of the most under used skills which applies to all positions whether it is a striker or midfielder tracking back or a defender trying to break down an attack. The aim of the jab tackle is to put the player on the ball under pressure, change the direction of the ball or show them perceived space. Jabbing is a great way to force the opposition into area’s of the field which are less dangerous and make it difficult for them to get through. You don’t have to always jab directly at the ball, you could jab next to the ball to close down the space and force the opposition to go one way. It can also used to set a player up for a front stick tackle. Although it can be a difficult skill to master, it is definitely a skill worth practicing especially if play on the left hand side. Defenders can use the tomahawk to clear balls down the line, midfielders could use it to cross the ball in and strikers to shoot at goal from various angles. An alternative players could use to pass from their reverse side is the reverse slide. It’s not as powerful as the tomahawk but can be used to get a pass away quickly. You use a hands apart grip and slice the ball on the edge of your stick using a short and low backswing. A striker looking for a bit of space to get a shot away. It is important that you pull the ball back (like a V movement) before moving forward to keep the ball out of the defenders reach. Then burst forward quickly at an angle to beat the defender, either left or right of them. Many defenders say that one of the hardest things to defend is when players use 3D skills. Using a controlled lift is very effective to use against players who like to make flat stick tackles. Once you use 3D skills, defenders will start to think more about how to approach you next time which could leave some doubt and indecision in their mind. There are several variations, but learning a few basics lifts and jinks should do the trick. Although this one is not technically a skill, it is an aspect which is important to develop if you want to pull off a lot of the skills mentioned above. If you can be deceptive about what you are going to do, it makes it harder for the opposition and will give you more space and time on the ball. For example if you are going to do an elimination skill then simply by dropping your shoulder one way before you change direction, you are more likely to convince the player that you are going that way, causing them to step off balance. I chose these skills based on what we feel gives you the best value for your time. Don’t spend too much time on the fancy skills you may never use and don’t make things more complicated than they need to be. In fact, if you can pass and receive well you can reach the top level! 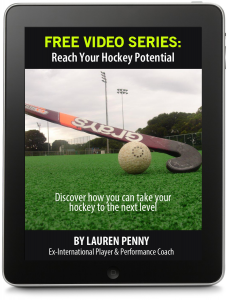 Signup below to get access to FREE training plus exclusive tips to help you improve your hockey.